When a couple's income jumps, how is their charitable giving affected? It depends on whether the man or the woman got the raise. Women are more likely to give to charities like the Red Cross, the study found. New research shows that gender differences influence what types of charitable organizations couples support, and who gives to causes focused on women and girls. The Women’s Philanthropy Institute at the Indiana University Lilly Family School of Philanthropy reported Friday that when the man’s income increases, the couple is likelier to donate to religious, youth, international and combined-purpose entities — such groups as United Jewish Appeal, Catholic Charities or United Way. They also tend to give larger amounts to those organizations. When the woman’s income increases, the couple is more likely to focus on, and give more to, charities that provide for basic human needs, such as a shelter for the homeless or the American Red Cross. Consider causes that support women and girls. Forty-five percent of all donors in the study said they gave specifically to such causes. 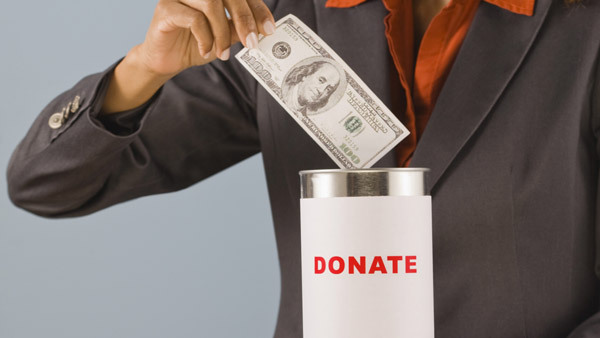 But when researchers looked at gender differences in giving, they found that half of female donors and two out of five male donors gave to these causes. In households with $250,000 or more in income and/or $1 million or more in assets not including their principal residence, men and women had the same top priorities for giving. Gender differences appeared in lower-priority motivations. Women were likelier than men to say their political or philosophical beliefs had prompted their giving; that they gave because they were on the board or volunteer for an organization; or that they gave spontaneously in response to a need. “The new research will help fundraisers better understand donors’ interests, what motivates them to give, and which donors support what causes,” the institute’s director, Debra Mesch, said in the statement. A grant from the Bill & Melinda Gates Foundation funded the research. The institute’s statement noted that its previous research had found that single women were more likely than single men to give to charity and to give more. Researcher also found that women tended to spread their giving across more organizations, while men concentrated their giving. Women were more apt to give to almost every charitable subsector, with a few exceptions such as sports and adult recreation.